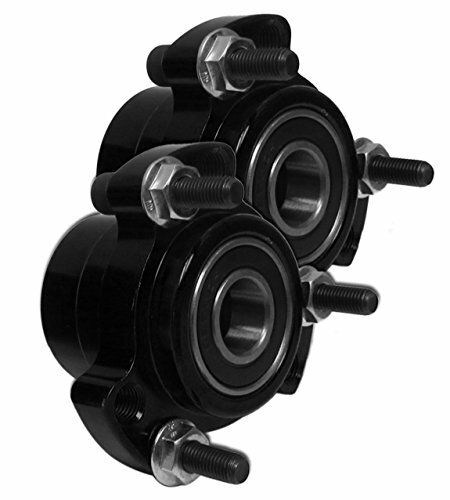 This a set of 2 Black Colored Aluminum Racing Wheel Hubs. (Front with 5/8" Bearings) Lightened racing front wheel hub. 5/8" high-speed bearings pressed-in. Dual American bolt pattern for both 1/4" & 5/16" bolts. 1/4" bolts included. Billet aluminum construction. Bolt circle- 2-1/2". Shoulder diameter- 1-3/4". Overall width- 1-3/4".